Damian Changa came to see us in October; he is the SIDO regional manager for Mwanza, Tanzania. He managed to fit in a lot to his short visit; here he is outside our Crickhowell tools workshop with our Wednesdays team. He visited our sewing workshop and our tool store known as “the depot” where we load containers, and together we visited the Bridgend TFSR group. We went to the Wales Fair Trade Fair in Abergavenny and met some of the customers buying the FT tools made by his Lake Zone blacksmiths, and the highlight was our visit to the Senned in Cardiff where he met the First Minister of Wales. Damian spent time explaining to all our volunteers how our tools and sewing machines help Tanzanian artisan groups and their families, and also answered plenty of searching questions about development in Tanzania. 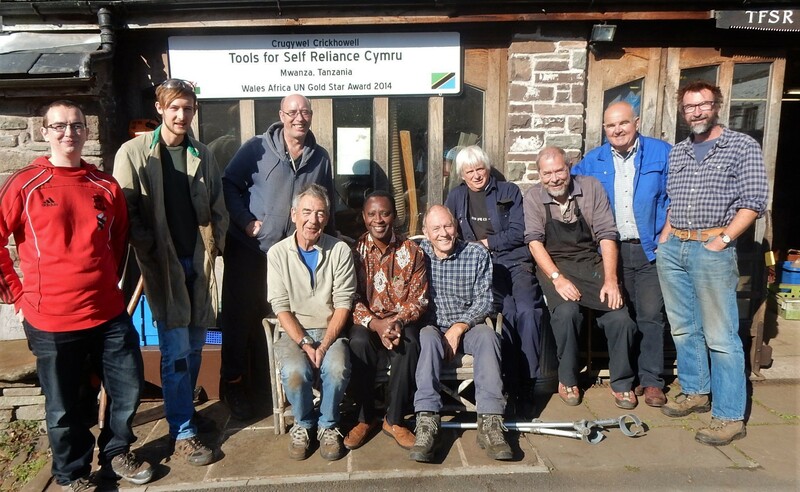 When we visited Bridgend TFSR Group, they had prepared four crates of tools, all ready for shipping to Tanzania. Damian recognised the recipients of these kits and immediately rung their SIDO manager. 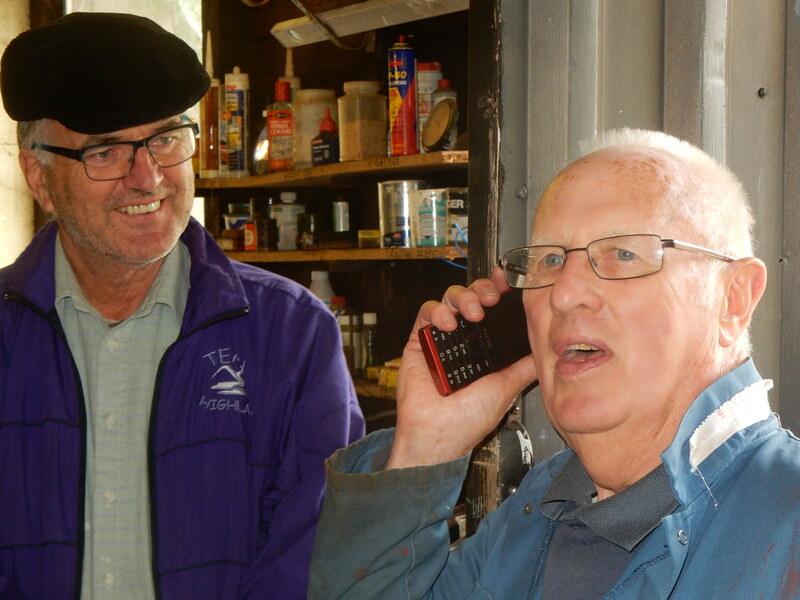 Here is John Hanson who can’t believe he is talking to the man who will receive his tool kits in six months time. SIDO is our partner in Tanzania, the Small Industries Development Organisation. 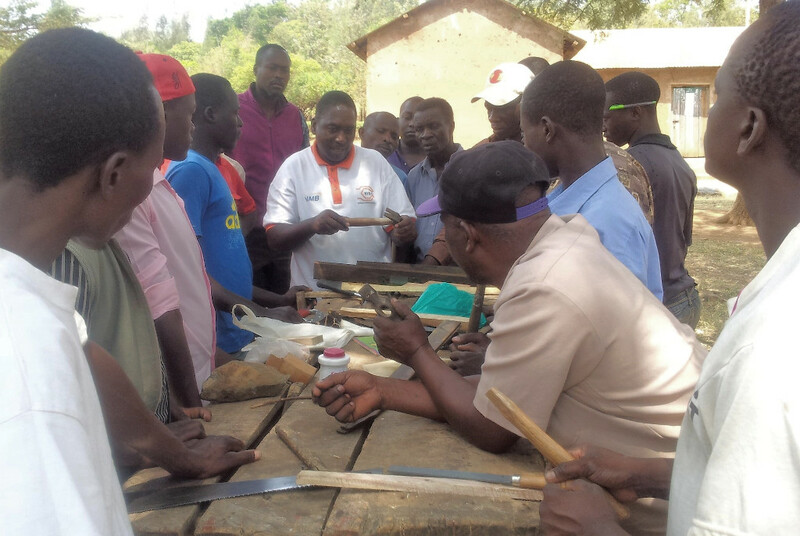 John Matalingi is showing carpenters how to re-handle a hammer in Namagondo village, one of the two in our project “Supporting Village Clusters”. John teaches carpenters how to sharpen saws, set up a wooden plane, general tool maintenance and making new products. The project is progressing well, with more tool kits delivered and training sessions well under way. Meanwhile in Kiabakari . 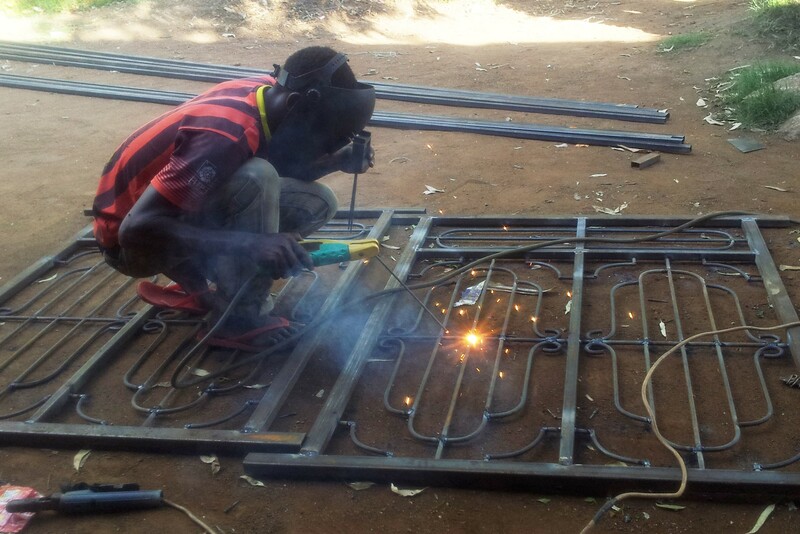 . .
Kiabakari is the other village in our project, and here is Mr. Rajabu Omari from Singu fabricators group using tools they recently received from TFSR Cymru. “The group is enjoying very much the support they received” reports Charles Iganja, the local technical Officer. Following a detailed survey of the artisans in both villages, it has become clear that they do need further business training. This will be arranged by SIDO in the next phase of the project. Mwajuma Warioba is certainly happy at her work. She is from Nyamisisi Tailors group also in Kiabakari. 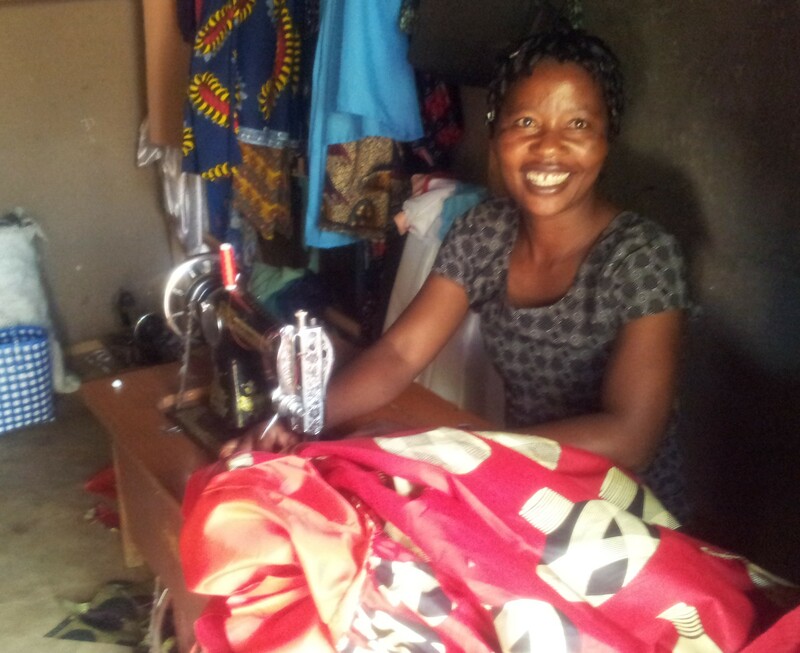 Tailors groups have received three weeks training at the MSTC centre in Mwanza; learning maintenance of their machines, and new dress-making skills. Many thanks to all our friends & regular donors for your generous contributions. Without you we wouldn’t be able to achieve so much. It is nearing That Time of Year, how about buying a “Gift in Kind” from us? You can see a range of Gifts on our website. You will receive a Gift Card outlining what the gift is and how it helps improve the lives of rural artisans.